This is just a random mushy post saying how much I adore my boyfriend ;) Joe is a force of awesomeness! He's hilarious, kind, my biggest supporter and a source of constant entertainment. This is him hanging out with his old high school rock band over the weekend, except that this time he introduced them to his newest instrument: the ukulele! Not exactly rock and roll, is it? P.S. The pin on Joe's jacket is from an Elf set via Manhandled. It says "Don't Eat the Yellow Snow"! Awwwwwwwwwwww, how sweet! I am so sure he truly feels the same way about you dear Jen! 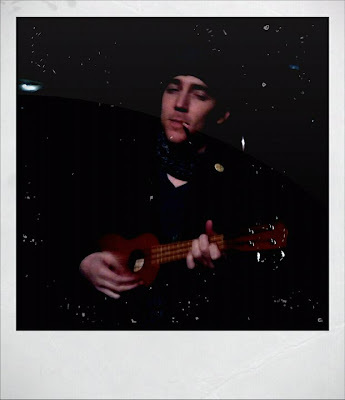 Love that he plays the ukulele! That does rock! !